Nagaur, Rajasthan March 11, 2016: Rashtreeya Swayamsevak Sangh said that it will endorse the entry of Women to temples. 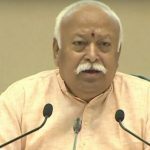 RSS General Secretary Suresh Bhaiyyaji Joshi mentioned 4 major scenarios, also expressed the opinions of RSS in his annual report. Women and Temple entry :- In the last few days, some social elements inimical to the wellbeing of the society have raised an unsavoury controversy over women’s entry to temple. From the hoary past, we have been following a lofty tradition in which, in the religious and spiritual spheres, in matters of worship and piety, both men and women are naturally considered to be equal partners. Generally, both men and women are naturally permitted entry into the temples without any discrimination. 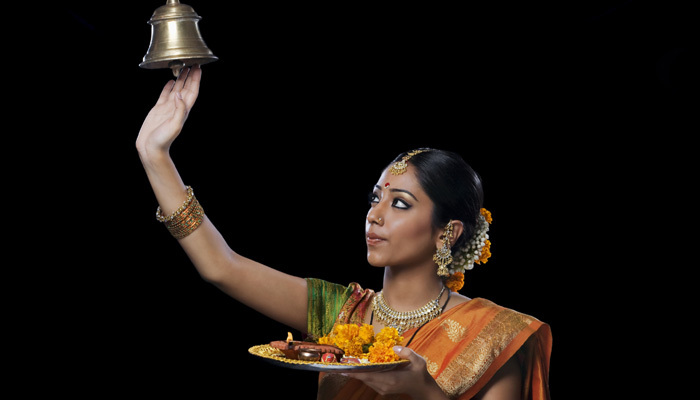 Women also have been learning the Vedas and officiating as priests in temples in the natural course. However, because of some unfair traditions, at certain places there has been a lack of consensus on the question of temple entry. Wherever such problems exist, attempts should be made to bring about a change of mind through proper discussions. It has to be borne in mind that such sensitive issues should not be politicised, and should be resolved only through discussion and dialogue, and not through agitations. From the point of view of social well-being, through the joint efforts of social and religious leadership, and the temple administration, attempt should be made to bring about a change in mentality at every level. 2) Security Agencies are target of anti national forces:- Repeated attacks being made targeting the Security Agencies in the last few decades, has become a big challenge to our security arrangements. Our security forces have been successful in repulsing all such attempts made by our enemies, through their valiant fight. The latest example of such attacks is the one made against our Pathankot Air Force Base recently. It is necessary to further tighten the security arrangements and make them foolproof so as to ensure that such incidents are not repeated anymore. Reviewing the efficiency of the Security Forces, the materials at their disposal, as also the officers in charge, necessary changes should be made. To curb activities such as Illegal migration, smuggling, Pak-inspired terrorism, such activities should be strictly observed for taking remedial action. With this view, it is necessary to review the infrastructural facilities to develop border areas, border security, and the materials, from time to time. It seems that Pakistan’s India policy is decided by the Military Establishment and not by the elected government. The incidents from Mumbai to Pathankot testify this. Presently, the whole world is concerned about the growing menace of terrorism. 3) Growing Communal frenzy in the country :- Incidents of violence and terrorist attacks at different places in the country have become a matter of grave concern for the patriotic and peace-loving people, and the law and order machinery. Under the pretext of small and big issues, people at different places, armed with weapons taking to the roads in large numbers and creating an atmosphere of fear and tension, as happened in Malda, has become endemic now a days. Incidences of destruction of public and private property, attacking the police force throwing the rule of law to the winds, looting and burning of business establishments, especially those run by Hindus, had taken place. Political parties, giving up their policy of appeasement, should take such incidents seriously and cooperate to restore the law and order situation and peace. This will be possible only when political parties and the ruling parties shed their petty and parochial political interests, and make a combined effort in the right direction. No political party or person is more important than the national security. It is the responsibility of an efficient and strong government to instill confidence in the people about their security. (4) University Campuses become hotbed of antinational activities :- In the last few months, reports about antinational and subversive activities in certain universities, has become a matter of concern. When renowned and premier universities, which are expected to groom patriotic citizens by imparting them the lessons of unity and integrity generate people who raise the slogan calling for breaking of and destroying the nation, this naturally becomes a matter of concern for the patriotic people. When they find certain political parties supporting such antinational elements, their concern grows further. 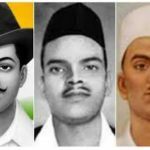 In the name of freedom of expression, how the slogans calling for the breaking up of and destruction of the nation, can be tolerated, and how the guilty, who had hatched the conspiracy to blow up the national Parliament, can be honoured as martyrs? Doing so it, itself will be treated as an antinational act. Those who do such things have no faith in our Constitution, judiciary, Parliament, etc. These subversive elements have made these universities the centres of their activities for long. It is very delightful that the moment the reports about these incidents became public, there was all round condemnation from everywhere. We expect from the Central and State governments to deal strictly with such antinational and antisocial forces and ensure the sanctity and cultural atmosphere by not allowing our educational institutions to become centers of political activities. Such incidents that pollute the social environment are sure to affect the social life. The change that took place in the political sphere last year, has made people in Bharat and the Bharatiyas living abroad happy and proud. This mood has been discernible in programmes conducted by people of Indian origin in other world countries. At the global level, the celebration of the “Yoga Day” by a majority of world nations is an indication of the acceptance of Bharatiya spiritual thought and way of life by the world at large. The expectations of our people have naturally increased and an atmosphere of confidence has developed. Therefore we expect those who are in power to accelerate the process that has paved the way for this new-found confidence and make it more pronounced. 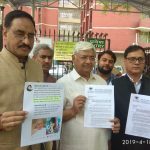 The acceptance the nationalist discourse has been gaining steadily and the resultant unease among the antinational and antisocial forces has come to light through certain recent incidents. The antinational activities at the Bhagyanagar (Hyderabad) University and the J.N.U. have thoroughly exposed their conspiracy. Violent agitations in Gujarat and Haryana for the demand of reservation are not only a challenge.